Shipbuilding industry need for material and service providers grows constantly. 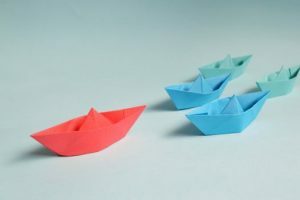 A link is needed between the shipbuilders, shipyards and service providers – YardMate. YardMate focuses on companies and their skills, giving marine industry subcontractors visibility, possibilities for collaboration and ways to provide their service to the major players. 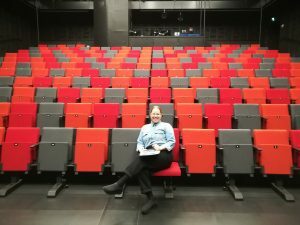 Pia Neffling, love to work in Turku City Theatre, responsible for b2b and group sales. Right now I’m going in the right direction getting good self-confidence in being me. A realistic self-knowledge, “pros and cons”, give me tools to improve myself in personal and working life. I have a lot of “sisu” (guts) and it is also my best side in sales. My success is also based on great teamwork with my fantastic colleagues here at the theatre. Sales is important to me – it is always about people and cooperation. It is not just commercial activities but more a way of thinking – good attitude is needed. It is true that a salesperson tries to affect other people. But, somehow, we all do it in our everyday lives. More important is how I do it and this is my key in constantly growing as a sales professional. What is your company specialized in? 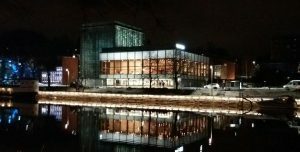 Turku City Theatre is more like an event house. Our main purpose and speciality is to offer quality and versatile theatre experiences for people. But we are also a rendezvous and organize events like congresses, trainings and celebrations. Our theatre is situated in a stunning scenery by the River Aura at the heart of the city. Theatre shows, new event facilities and our location are great reasons to come to visit us. 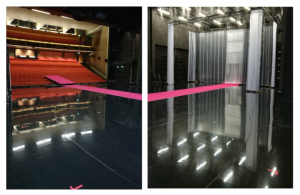 The year 2018 was a great success in Turku City Theatre. We are truly grateful for all the 140 000 viewers, who made the success. Our versatile repertory is the main attraction to come and feel theatre world yourself. We have about 150 skilled and passionate employees. The genres and styles of the productions vary from comedy to drama, from Finnish plays to Broadway musicals, from classics to the newest contemporary plays. Tell us about your clients and other key shareholders and partners? Turku City Theatre is one of the Finland’s biggest theatres. We offer about 1000 seats for viewers in theatrical days and 400 shows a year – a great amount of supply. That`s why we like to think that everyone in Finland are of course our clients. However, our important customers can be found very close, in Southwest Finland. The main and largest customer-group is the individual persons. We like to offer excellent ticket service to our key partners by Lippu.fi cooperation. Group sales is something we constantly improve in an active and dynamic way. This is one of my core responsibilities. Live theatre’s popularity is rising and people are very interested in our offering. A theatre experience is a great way for groups to enjoy something together – having fun together, to be remembered lifelong. What services or products do you offer to other YardMate members? Our product is a live charisma experience for you. What you see is only a tip of an iceberg. We are a factory and produce quality theatre. The ticket you buy for yourself or your group contains high quality and passionate group work. I specialize in group tickets and interval serving. I love to help you with all reservations and we are happy to offer YardMate members a 3 € discount from basic prices of our own plays in 2019. What are your expectations for YardMate? What are your future needs regarding sub-contractors and partners? I am pleased to give ideas for free time to members. Please call me, Pia Neffling, at +358 40 574 6796. Anything else you wish to say to us? Thank you very much that we have the opportunity to be a YardMate member! And we thank Turku City Theatre for joining us! They offer something precious for our member network’s work life balance – food for thought from a totally different perspective, great relaxation, a multitude of choices in the 400 shows a year. Every product, service or accessory you can imagine YardMate brings into Marine industry. 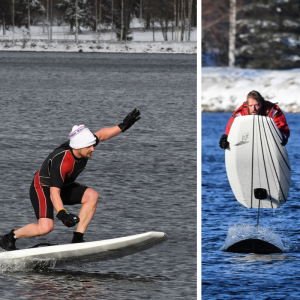 See photos from the past weekend – YardMate Cruise Line Service’s testing session in Eastern Finland, Imatra. 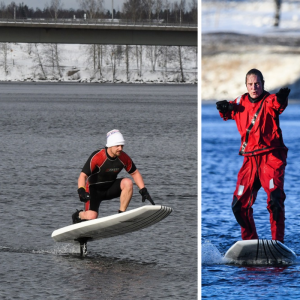 eFoil electric surfboard was tested by YardMate’s CEO Kari Härkönen, the owner of Electric Adventures Antti Koskinen, the owner of Saunalautta Imatra Oy, Jussi Honka and water sport specialist Tero Flang, in the conditions where both air and water were below zero degrees. Everything worked great and our testers were so thrilled they forgot the cold temperature. 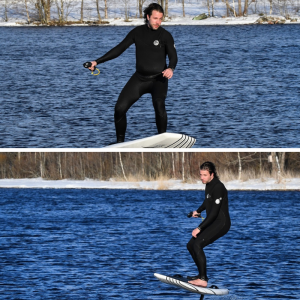 Surfing is now possible in all weather conditions round the year – on the sea, lakes, rivers and even in small ponds – ecologically, using amazing electric technology that allows minimum one hour session with one charge. 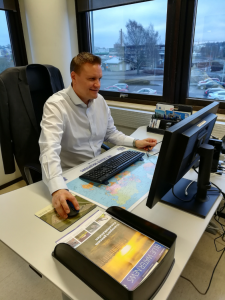 Meet Antti Koskelainen from our member company SimFors, who recently upgraded their quality certification to ISO9001:2015 with top results. Antti Koskelainen, CEO of SimFors since 2011, with strong heavy industry business background in Finland and abroad. 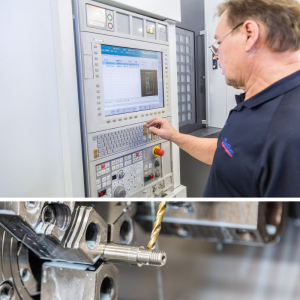 We have over 30 years of special experience in providing customers with a range of demanding machining and assembly services. Our expert personnel and modern CNC equipment – together with our flexible two- and three-shift operations – guarantee quality, just-on-time deliveries. We are capable of machining a wide range of raw materials, including acid-resistant and stainless steel, tool and tempered steel, titanium, aluminium, brass, and technical plastics. Tell us about your clients and other key shareholders or partners? 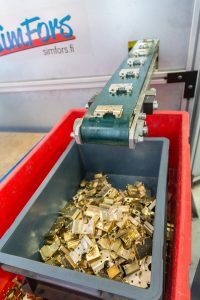 We produce mechanical components and assemblies for the electronics industry, aviation, military products, paper machines, valves, analyzers, and dental X-ray equipment. We can supply advanced, precision assembly for a variety of industry needs in Finland and internationally – fully tested, documented, and ready to go. Our modern assembly area and advanced testing equipment ensure a high standard of assembly work. We can handle all stages of assembly, including subcontracted work, such as surface treatment and welding, as well as component procurement using our extensive sourcing network. 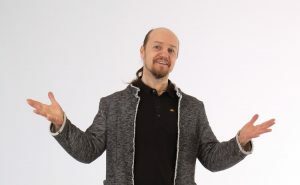 Please phone Antti Koskelainen at +358 40 450 9551 or email myynti@simfors.fi and we are happy to help. To support our Sales and find new business partners. We are looking for new customers and business partners from maritime industry. It is great to be in a team of top professionals who have a common goal in maritime industry. I wish us all a prosperous spring and year 2019! Thanks for the interview, Antti! SimFors is actively and successfully seeking new markets and we look forward to their smooth entry in the marine industry. They deliver what the customer needs, and there is definitely a need for their machining and assembly services in the industry. YardMaten jäsenten Kaha ja Electric Wheel Company huipputuotteet Vene 19 Båt -messuilla Helsingin Messukeskuksessa. Kahan Webasto ThermoConnect -applikaatiosta saat etäkäytöllä veneeseen ilmalämmityksen ja hälytykset päälle. Electric Wheel Companyn ekologisella sähkösurffilaudalla elämystä tarjolla yhdellä latauksella tunti / 25 km. Tervetuloa osastoille 5r11 ja 1f19! This time we take you right next to the port of Turku where Blue Water Shipping have their Road (continent) and Sea freight & Customs clearance office. Erkki Valtonen, the Country Manager, visits here regularly, the company Finnish headquarters being located in Vantaa. 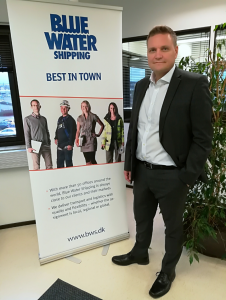 Erkki Valtonen, Country Manager of Blue Water Shipping Finland. Blue Water Shipping is a global provider of international logistics and transport services required in a modern supply chain management. Our operations are founded on in-house competences and comprehensive network of partners and sub-contractors. Our general cargo and special projects departments transport anything between 50 kg and 500 000 tons. We also have freight solutions to the Cruise and Marine industry with 24/7 one-point-of-contact, logistics, warehousing, customs clearance, port agency, stevedoring and crew change services. There are Blue Water offices in all major cruise hubs, and we have our own Cruise & Marine Logistic Network (www.marinelogisticnetwork.com). Blue Water Shipping was founded in 1972 in Denmark. We are privately owned with Blue Water Foundation governing the majority of the shares. Our partner network with own offices and hundreds of local forwarders cover all world and we can serve our customer to/from any country in the world. Our clients are companies with various types of foreign trade and business; manufacturing, import, export and transit of general cargo as well as of projects or special services. – Terminal & warehousing services. Our aim is to get in contact with companies dealing with ship building and marine logistics. We can provide these companies with full service based on our long experience and comprehensive network. Our service covers the full logistics chain and we can provide our customers with the most efficient transport method and ensure the correct customs process both at shipyard and in-house. What are your future needs regarding personnel? We have a clear target of growing and developing our business in Finland. Investments in resources, including operational and sales staff are part of our plan. And your needs regarding sub-contractors and partners? We wish to meet and establish contacts with companies serving the ship building and marine logistics. We are also always willing to discuss with potential new logistics network partners regarding transportation and forwarding. Please contact Kai Hermiö (Manager Road), +358 40 350 3110 or Ville Sulonen (Head of Air & Sea, Finland), +358 400 38 4430 to discuss your offering. We look forward to becoming an even more active member of YardMate, to establishing contacts across the network and getting acquainted with professionals of the Cruise and Marine industry. And so it is! Networking is the key both for YardMate and Blue Water Shipping. In 99.9 % of their transport projects they do not see themselves the actual items transported. Instead, they have an extremely well-functioning partner network and together they enable the full logistics solution. 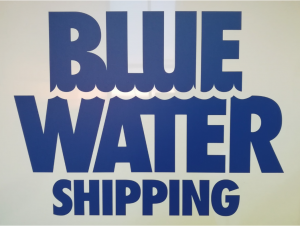 We look forward to seeing how being part of YardMate network benefits Blue Water Shipping’s business! Meet Camilla, whose mission is to save lives. She, a nurse with paramedic experience, and her team are extremely skilled to fulfil this aim, learn more below! 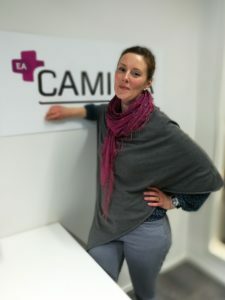 Camilla Mäkinen, founder, CEO and also one of the First Aid Trainers in Camilla Safety. We are specialized in trainings that improve and maintain good safety on workplaces. We have courses in First Aid, Firefighting and Threat Situations. All our instructors have worked or are still working as paramedics, firefighters or policemen. We use modern technology and the courses are very hands-on. The duration of the courses vary from 2h to 16h. Tell us about your clients and other key shareholders? Our clients are companies in the Turku-Pori-Tampere-Helsinki-area. Several of the companies operate at different levels in the maritime industry. Occupational First Aid trainings are mandatory according to Finnish law and, therefore, both small and large companies use our services. Courses are mainly held in the customers’ own facilities where we are able train in genuine locations. 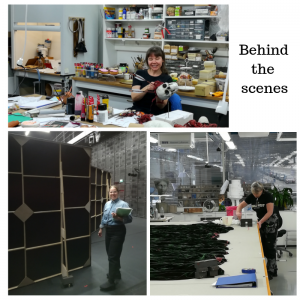 We also have our own training room in Piispanristi (Turku) and can arrange for other spaces as well depending on what our clients need. We hope YardMate member companies will be interested in improving the safety of their employees. If you want a modern and inspirational safety course, don’t hesitate to call us. We have the possibility to train a large amount of groups and have already provided several trainings to YardMate members. We could do with 1-2 firefighters more in our team to do 2h trainings every now and then. If you have a good contact, call Camilla at +358 50 5898 079. 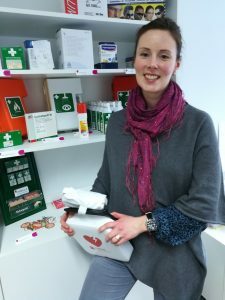 If you have done a first aid course but it wasn’t a wow-experience, call Camilla Safety. Remember, you may one day be the first, most important and maybe the only bystander in an accident or medical fit. Learn how to help. Together we can save lives! You do a fantastic work, Camilla! The wow-experience really is present in your First Aid trainings, which means one remembers more easily how to act in an accident situation. 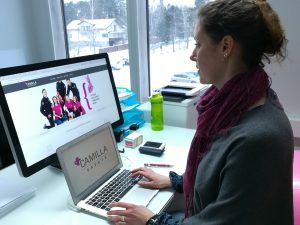 For any reader to get a first glimpse on Camilla’s hands-on advice, check Camilla Mäkinen at LinkedIn. 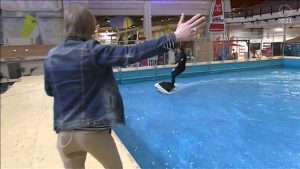 YardMate-verkosto kehittää meriteollisuuteen innovatiivisia ratkaisuja. Mitä uuden kehittäminen vaatii? Teknologia tukee mutta ihminen on avainasemassa. Ymmärrys ja uudet ratkaisut perustuvat muistiin. Ilman muistia et pysty yhdistämään asioita ja luomaan uutta. 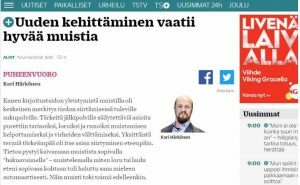 Toimitusjohtajamme Kari kertoo Turun Sanomien pääkirjoitussivun artikkelissaan muistista ja sen toiminnasta. 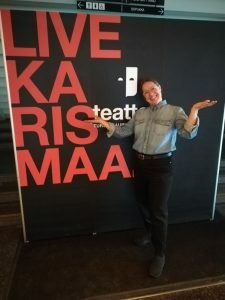 Klikkaa kuvaa ja lue koko juttu! Mitä muistat luettuasi artikkelin? Mitä uusia ajatuksia sait?